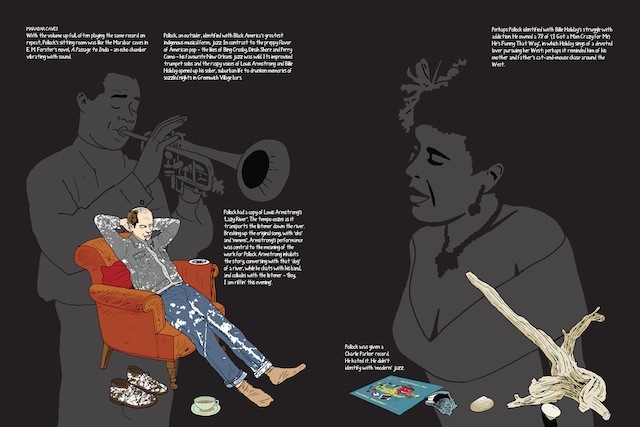 A new graphic biography series launched last month with books that follow the lives of Andy Warhol, Jackson Pollock, and Salvador Dalí in text and illustration. 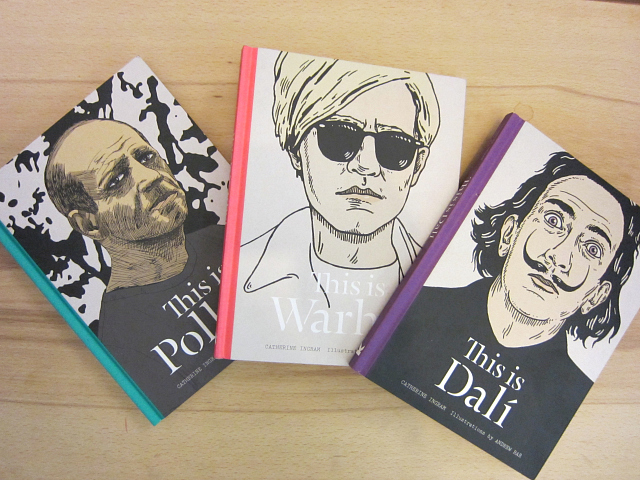 The This Is… series from Laurence King Publishers kicked off with This Is Warhol, This is Pollock, and This is Dalí. 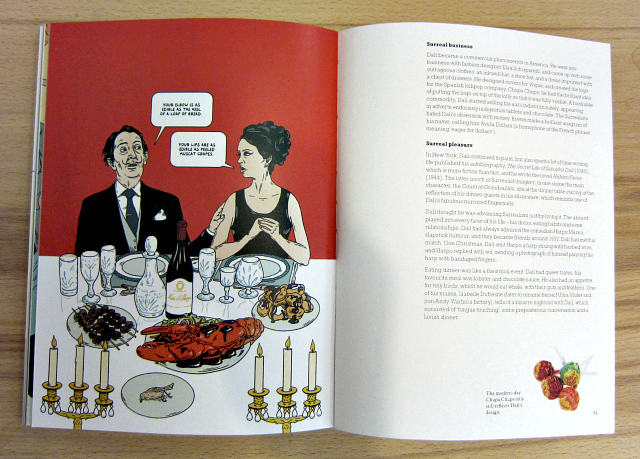 Each was written by art historian Catherine Ingram, with illustrator Andrew Rae taking on Warhol and Dalí and Peter Arkle with Pollock. One on Francis Bacon illustrated by Christina Christoforou and another on Gauguin illustrated by Slawa Harasymowicz are planned for the fall (hopefully some female artists and artists of color will get in the mix as subjects as the series goes forward). 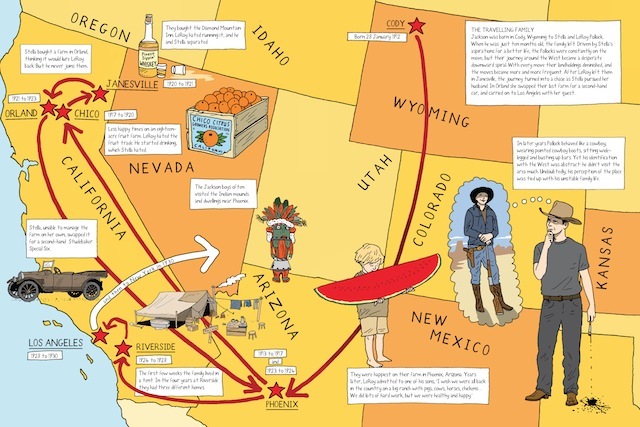 It’s a clever idea to make the story of artist’s lives as engaging visually as their art, and although the three first picks are very well-known, Ingram obviously took great delight in digging up some obscure facts. 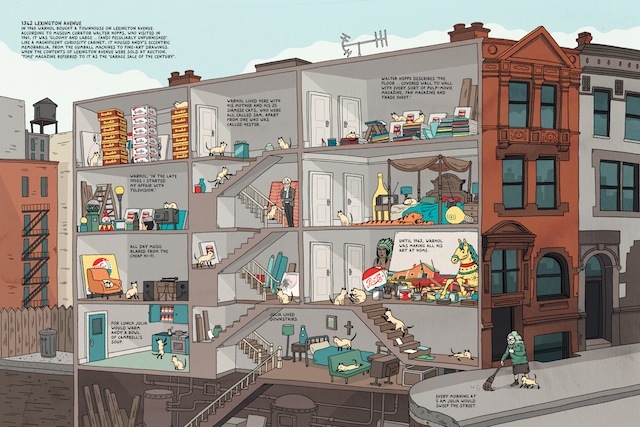 For example, there’s a cut-away illustration of Warhol’s 1342 Lexington Avenue townhouse showing it patrolled by the artist’s 25 Siamese cats, all named Sam except one called Hester, and another illustration by Rae of Dalí stretched out on a couch by a standing Warhol while silver balloons go around. 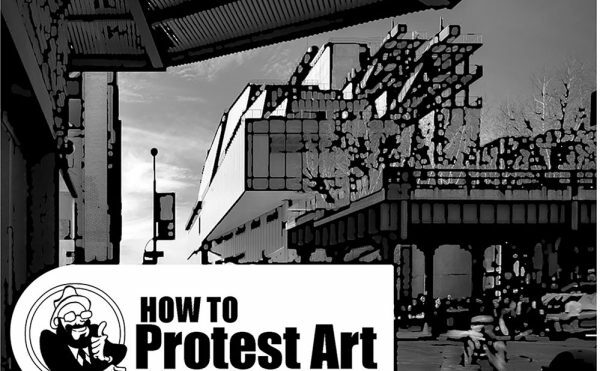 If you have an interest in these artists, you’ve likely heard much of what’s in the books before, but with their pop-y, sturdy covers they may draw in some new readers of art history. 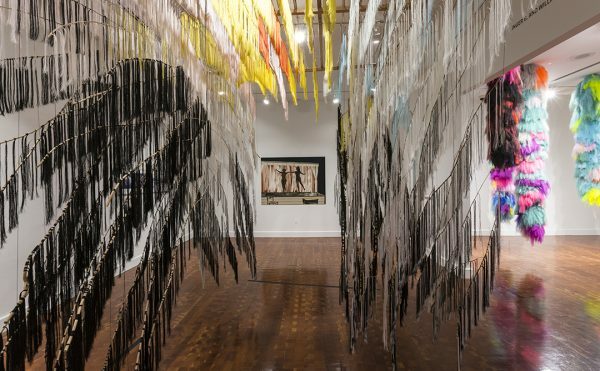 While obviously heavily researched, Ingram’s text can be a little methodical, and some things are curiously left out, like Warhol’s close relationship with Basquiat. 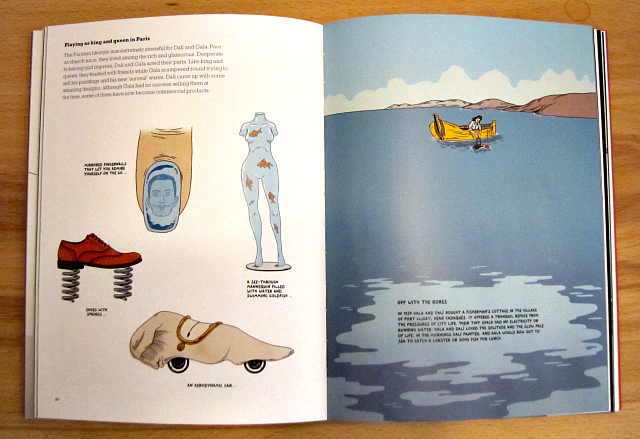 However, the illustrations and fast pace of the book makes it a quick, vivid profile of each subject. Rae’s illustrations for Warhol are sometimes solemn and stark, and he is incredibly playful with showing Dalí’s weird, self-made world. Arkle grasps vividly the balance of Pollock’s personal troubles with his intense eye for art, from the artist drunkenly crashing a dinner party to sitting in contemplation, immersed in the intricacies of jazz. 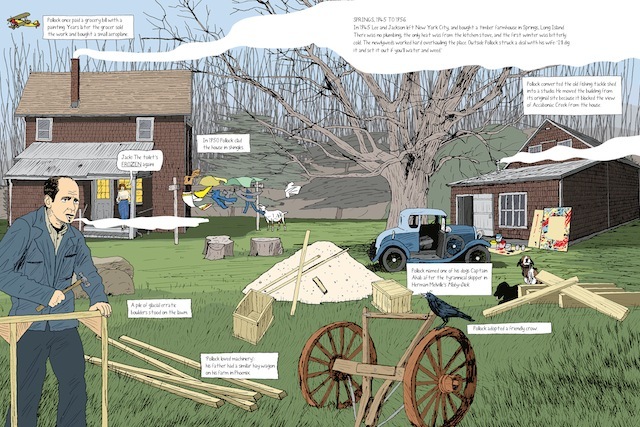 Along with images of the artist’s work that frequent the pages, the combination of graphic novel and biography is an engaging format for exploring what made these artists into icons. This Is Warhol, This is Pollock, and This is Dalí are available from Laurence King Publishers.